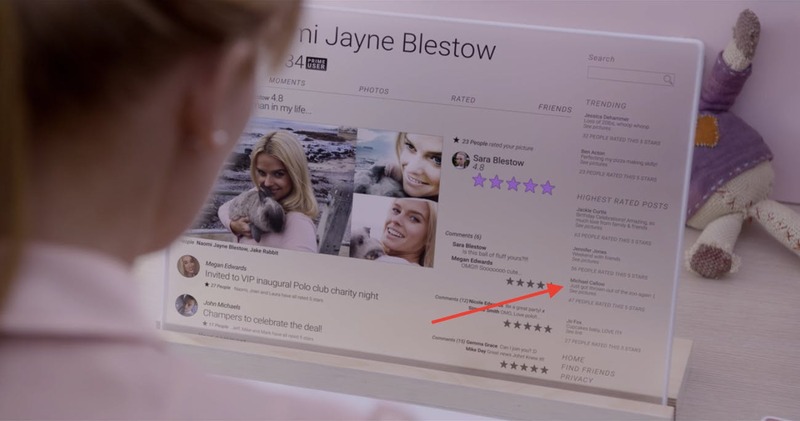 The world of Lacie Pound in the Black Mirror episode, NoseDive, turns today’s well known app, Yelp into reality. In this world, every interaction is rated from one to five stars, and a great socioeconomic status depends on the highest possible one. Us. Like many of us, Lacie longs to live a comfortable life with luxuries: a house in the right neighbourhood, a picturesque boyfriend and an invitation to all the lavish events. The pressure to gain a rating high enough to unlock this dream leads to hours spent practicing smiles in the mirror, manufacturing the perfect social timeline, and flashing her best manners at everyone she meets. Hate the idea? Too bad, it’s where we’re headed. Today, there is a way for us to feel constantly connected to everything that happens around the world. From the most recent international news to the most recent memes on our favourite platforms, “boredom” is merely a choice now. I almost feel like I’m betraying the true meaning of the word as our standard for what is classified as boredom these days seems so inaccurate. Boredom somehow appears the moment there are no new Snapchats to respond to, no more Instagram pictures to scroll through, or no new Tinder profiles to swipe on. This overwhelmingly tapped in network manifests in us a common fear of being fundamentally boring, of lacking value in comparison to others. When the classic term “The Simple Life” is heard it’s now interpreted as “The Boring Life”. As absurd as it sounds to link this inner belief to social media, it’s true. It’s because we begin to project our expectations of our technology onto ourselves. The message we begin to tell ourselves is, “if I cannot entertain [Insert Person here], then they will discover that I am boring and not worth their time”. Then this belief begins to claw its way into our beliefs towards relationships and connections with others. In order to avoid unboxing the insecurities of never being complex enough as an individual, we turn to a duct tape solution of making our outward appearance stimulating enough so that the world will forgive us for our internal shortcomings. We become dependent on external validation of our worth. The scale for value begins to be weighed in the number of likes we receive. There is now a need to edit and filter our lives through the lens of a camera to portray what we believe will be the most pleasing to the world. By falling into a state of dependency on external validation, it seems safer to engage in media content that focuses on the visual, rather than the person behind the photos. This has made for the perfect incubator for gamified dating apps. They allow us to create a visual driven profile to search for “connections”. Turning to these apps can often continue the vicious thought cycle of worrying we lack depth, deciding our outward appearance should be our most entertaining component, turning to outward validation, and beginning to believe we were right when we receive the expected response. It’s this cycle that has lead to the creation of “hookup culture”, where engaging in a flirty, surface level way is much more appealing than the thought of having to be real with someone. After comparing Lacie’s world to my own, I was eerily disturbed. The premise of the episode was not twisted or unreal, it was the exact opposite. It gave a glimpse into our own end destination. Simply receiving some likes on a photo won’t be enough. We’ll begin to desperately rely on these outward ratings to make it through the day, being utterly destroyed by a drop in rating. It is this future that shows how social media, when used how the western world does, leads to a toxic self talk that teaches people they are lacking something important and unavoidably boring.